The world is a scary place... and many countries have become too frightening for tourists. Millions of travelers have been nixing their dreams of visiting places like the pyramids in Egypt, the Tunisian coast and Istanbul's Hagia Sophia due to heightened terrorism concerns. The prospects for Egypt's vital tourism industry are looking dire after multiple aviation disasters and years of political upheaval following the 2011 Arab Spring. Annual visitor numbers peaked above 14 million in 2010 but since crashed to around 9 million last year, according to data from the United Nations' World Tourism Organization. Visitor numbers to Egypt are expected to suffer further in 2016. Market research firm Euromonitor International said visitor arrivals to the country fell by 46% in the first quarter of 2016 compared to the same time last year. The crash of EgyptAir flight 804 in May is widely suspected to have been caused by a terrorist attack, which has forced many tourists to reconsider their travel plans. This comes after another EgyptAir domestic flight was hijacked in March, and terrorists brought down a Russian plane that took off from an Egyptian airport in late October. "The government must reassure travelers and potential tourists that the country is doing enough to uproot terrorism and secure the safety of travelers," warned Nadejda Popova, a senior travel specialist at Euromonitor International. 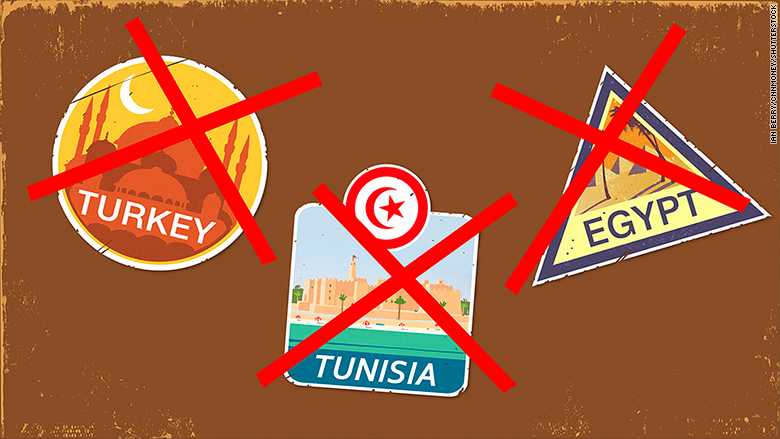 Tourists are opting to avoid formerly popular travel spots, including Egypt, Tunisia and Turkey. This small country wedged between Libya and Algeria in northern Africa has faced a near 20% drop in international visitor arrivals in the first quarter of 2016 following two shocking terrorist attacks that specifically targeted tourists. The first attack in March 2015 saw assailants gun down visitors at a popular museum in the heart of the capital, killing more than 20 people. The next attack in June 2015 saw a gunman open fire on sun-bathing tourists, killing 38 people, most of them British citizens. Tourism levels in a country tend to take up to two years to recover when a terrorist attack directly targets tourists, according to David Scowsill, CEO of the World Travel & Tourism Council. "People will come to Tunisia again... but right now [the country is] having a very tough time and people are losing their jobs," said Scowsill. Tunisia used to welcome about 6 million to 7 million visitors a year before the attacks, but that seems unrealistic for 2016. 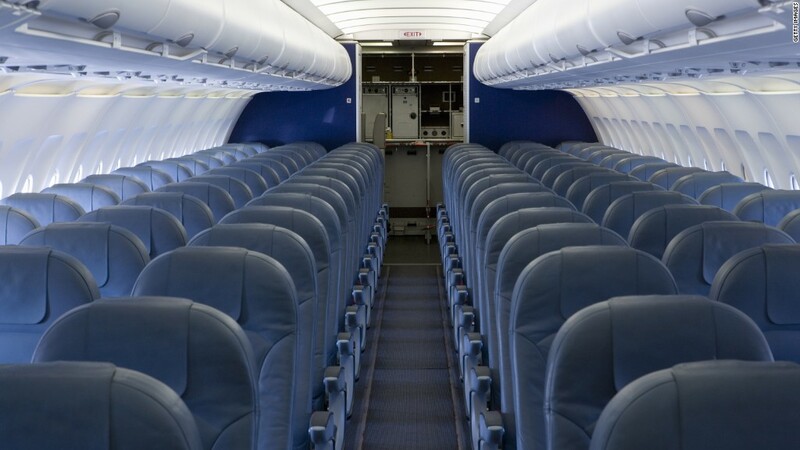 Airline capacity to Tunisia has been cut by 26% for the summer period, according to the travel intelligence firm ForwardKeys. Turkey is among the most visited countries in the world, welcoming 40 million tourists last year, according to the United Nations' World Tourism Organization. But it is suffering from a huge range of issues that are slamming its tourism sector this year, including terrorism and a high-profile political dispute with Russia. For starters, Russia has essentially stopped sending tourists to Turkey as a retaliatory move after Turkey downed a Russian war plane in December. President Vladimir Putin has advised Russians to avoid the country and Russia's Federal Agency for Tourism told travel agents to stop selling tours to the country. Russia was the second-biggest market for Turkey's tourism sector, so this immediately cut off about 5 million prospective visitors. On top of that, multiple deadly terrorist bombings in Istanbul and Ankara have convinced many European travelers -- mainly Germans and Brits -- to holiday elsewhere, according to Scowsill from the World Travel & Tourism Council. Germany and the U.K. are among the top three biggest contributors to Turkey's tourism sector, sending roughly 8 million tourists a year in total. Scowsill estimates Turkey's various problems have contributed to a 20% to 25% drop in visitor numbers. "The response to the terrorist attacks in the last 12 months is clear. Travelers are resilient and are not being put off taking their vacations, but they are switching destinations," said Scowsill. "Turkey, Egypt and Tunisia will continue to suffer this year, but countries like Spain, Portugal, Italy, Malta and Bulgaria will benefit as a direct result." Turkey was hit by another attack Tuesday. At least 11 people were killed and 36 injured when a car bomb targeted a police bus in the historic center of Istanbul. The latest data from the U.N. World Tourism Organization shows travelers made 1.2 billion international trips last year, up 4.4% compared to 2014. Trends for the first few months of the year show travel figures keep steadily increasing.